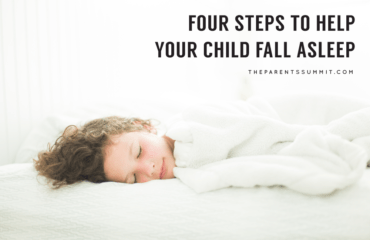 A few months ago, my husband and I decided that our family needed to slow down. 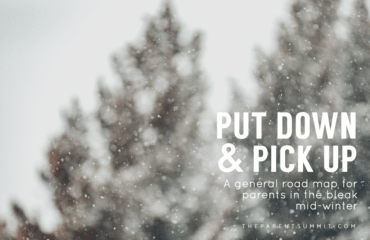 We had fallen into a pace characteristic of many American families and we needed a break. But we didn’t want this to be a one time, quick fix. We needed more than a vacation. 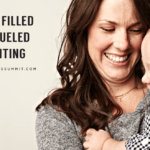 Our family culture had become frantic and we knew we needed to make an intentional and lasting change. The change we settled on was to set aside Saturdays as a weekly day of rest. We had talked about the idea of taking a weekly Sabbath rest many times since starting our family, but we finally made it enough of a priority to actually do it. And it has had an unbelievable impact on our family. After just a few weeks we have already begun to see the difference that setting aside a day of intentional rest can make. Two things set this day apart for our family: the absence of work and the absence of screens. There are no Sabbath-to-do-lists. It is not a day for catching up on projects. 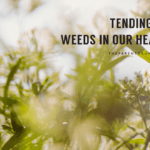 It is a day meant for noticing the things I tend to miss in my pursuit of being productive. It’s a day for hot cups of coffee and long walks outside. On these days I choose to pick up a book instead of scrolling on my phone, I play the games I usually don’t have time for, and I release myself and my family from the expectation to do anything on a deadline. It is so easy to become a slave to the constant demands on our time. Choosing to stop and rest sets us free. These things don’t just happen. I’ve learned that I need to prepare and plan during the week so that I can actually set aside my to-do list without feeling like my life is going to fall apart. And it’s not always comfortable; it has taken me some time to realize that I don’t have to be productive all the time and that sitting still is a worthwhile occupation. It has taken discipline to give up my habit of checking my phone every few minutes. There have been several moments that my 5-year-old has had to sweetly remind me to take my eyes off of my screen. But the benefits have been entirely worth the effort. As our family has begun this regular rhythm of rest, I have come to realize that perhaps the most important part of setting aside this day is not the physical and relational refreshing that it offers, but the beautiful picture it gives us of the larger story that is at play in our lives. In order to regularly cease from work, I must resist the temptation to believe that my value is in what I can produce and accomplish. To be at rest, my hope and trust cannot be in my own ability to succeed or my own provision for myself. In the same way, my eternal rest does not depend on my goodness, my abilities, or my own work. It depends on the work that has been accomplished for me in Christ. What a beautiful reminder this regular, intentional day of rest can be of the finished work of Jesus on the cross and of our need to rest in Him. That is a story I want my children to be intimately aquatinted with. 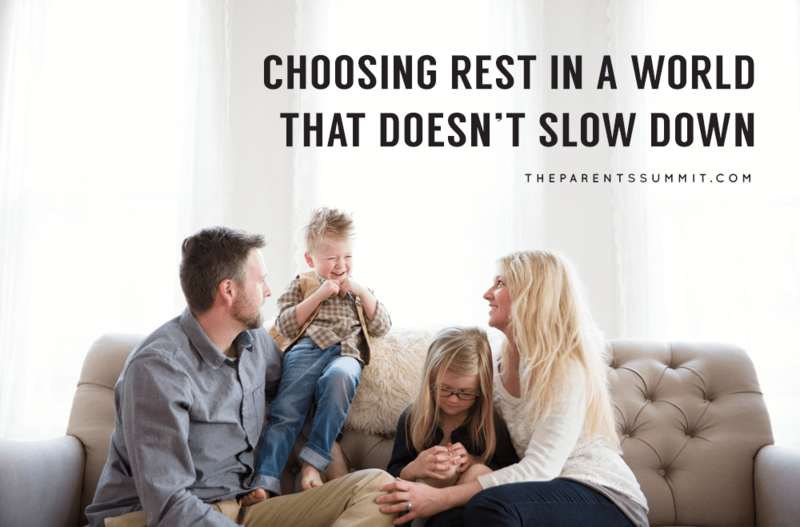 Choosing to make rest a regular part of our family rhythm is one way we can live out that story. Maybe a whole day set aside for rest feels overwhelming or impossible to you. That’s okay. 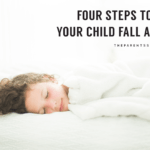 But what steps could you take to move towards more regular and intentional rest for your family? 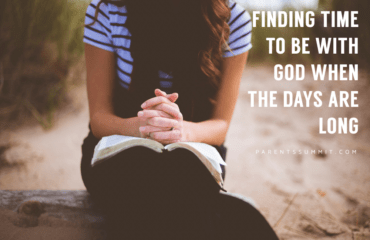 What would it look like to take one small step away from being a slave to your to-do list and to your screens so that you and your family can more freely worship and enjoy God together?